5. My great-grandmother's cradle (made by my great-grandfather for their first child - my grandmother). 6. My Chiger blanket - an acrylic throw from (GASP!) Walmart that is patterned with both tiger stripes and cheetah spots. It is my favorite, keeps me warm no matter what else is happening, and is soft soft soft! I do know that there was at least one at my Walmart recently, because My Sweetheart bought one. Whether there are more? I can't say. 7. The jewelry My Sweetheart has given me. Because, yes, it's irreplaceable. 8. My computer. It's brand new and just finally paid for! 9. My Nook and Kindle (or if, by the time the fire happens, I've managed to save enough and buy that iPad Mini? Then that. I've been blogging now for 10+ years, gravitating to it after being involved in Yahoo groups, specifically the one known as Knitting Chicks. 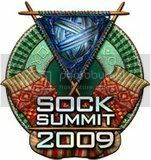 The (mostly) women I've met online have become close friends, some of them I've met, and others I haven't - either at Sock Summit '09 or at various fiber festivals in my region. All those years ago, I met a woman known by the moniker "Plain Jane" of Plain Jane Knits Up a Storm". We hit it off, participated in KALs together, started other Yahoo groups (like Knit Red for Women's Heart Disease) and moved on over to Ravelry and then Facebook together. And then the other day, I wandered over to her Facebook page to wish her a belated Happy Birthday (life having gotten in the way of me being a considerate friend once again). And there I learned with shock and deep sadness that Jane passed away in September, suddenly, from cardiac arrest. I'd like to ask you to join me in something. Jane was mostly a charity knitter in her later years, having knit and crocheted so much for her family that they really didn't need much anymore. She knit for two groups: the homeless (hats) and those in nursing homes (lapghans). I'd like to honor Jane by knitting something red (since she died of heart disease) for one of those two groups. I've already got my Vanna's Choice cranberry red ready to go. Farewell, Jane. I will miss you. 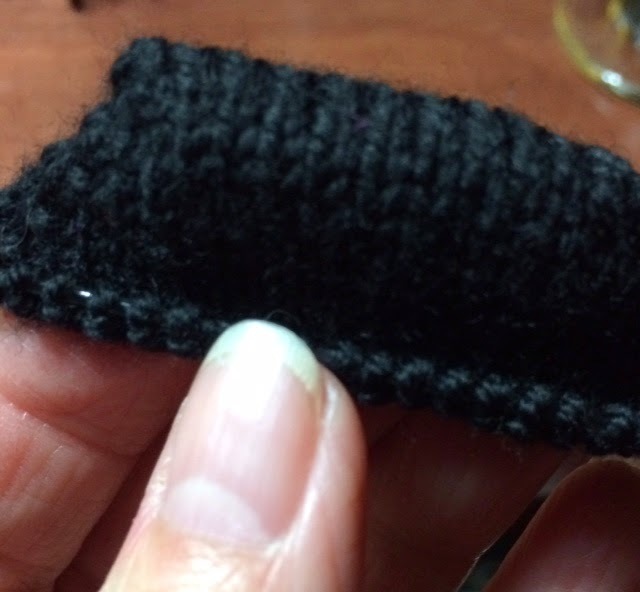 I'm still here...and I'm knitting...a pair of black socks, for symphony!